But the Cowboys won their game. Seriously though, how cute are my guys!?! Schools were delayed two hours for possible ice on Friday, so I let Millie Jo have a skip day to start our girl's weekend! 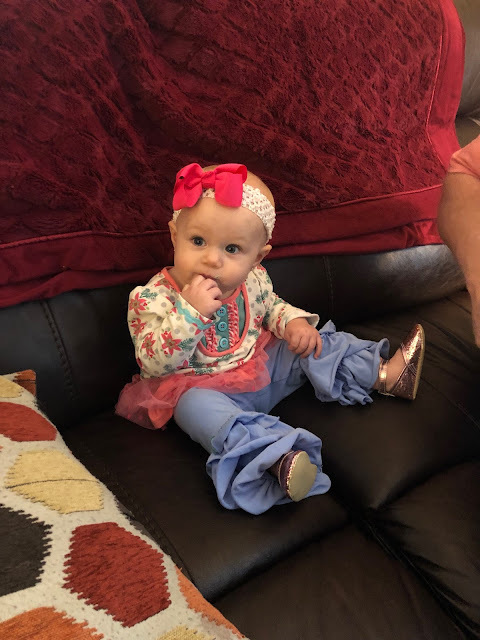 We are working on this "self soothing" thing during nap time … because SOMEONE held Ellie Joy the first 6 months of her life while she napped … but I won't mention any names. And when I went to check on her, I found her asleep like this. And Ellie Joy & I headed out to dinner with friends for a birthday celebration. And y'all … Dan & I are getting our first NEPHEW!!! We can't wait to meet sweet Porter James in a few months! Millie Jo was so surprised that after all these baby girl cousins, she is getting her first boy cousin! And you can only imagine the excitement Coop was feeling via FaceTime! After the party, the girls & I headed out to the mall for a little shopping. 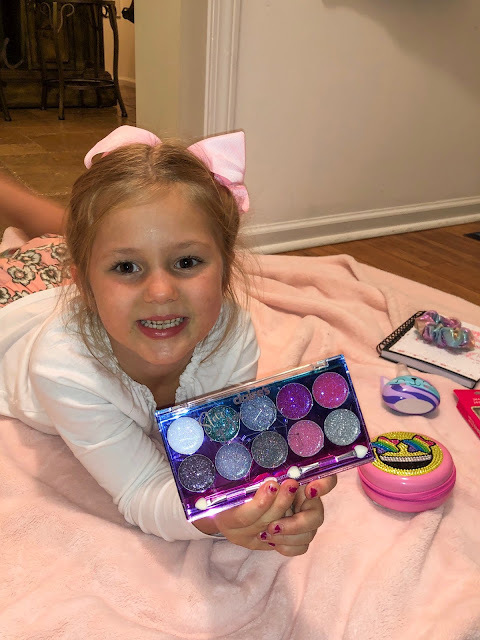 Millie Jo is obsessed with all things CLAIRE'S! Her paw-paw gave her a little bit of money to spend this weekend & she was so excited about all her finds! Saturday night, Grammy "talked us into"😉 spending the night at her house. And look how cute THIS CHRISTMAS TREE is!! Where was this when my other two were babies!?! Sunday morning, I woke up with a headache … I blame it on lack of sleep. HA! But by the evening, I was feeling better so the three of us made Christmas cookies! 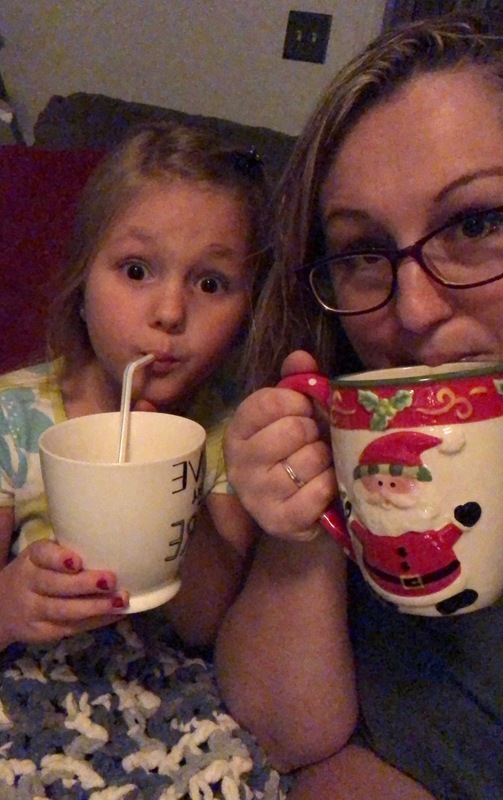 We ended our weekend watching Christmas movies, drinking hot chocolate & trying to wait up for the boys. It didn't work. We all three were asleep hours before they got home! I hope your weekend was so good! !